VanGogh Gaming's TinyMiner Eve Online Mining Bot Macro Miner - Sales Page! Buy with the utmost confidence, all our TinyMiner applications are Safe, Secure and Fully Tested. Choose your desired product and then, once you've completed the payment below, follow through the PayPal confirmation page in order to arrive on the instant download page for your chosen application! TinyMinerPlus with the double client for mining with two EVE Online accounts on the same computer, Mining Extravaganza! The TinyMinerPlus Single client & Warp-to-Zero Hauler are also included and all the advanced "extra" options are activated! + Click Here to see the contents of the TinyMinerPlus Package. EVE Online TinyMiner Auto Bot Mining Macro ISK Machine and Warp to Zero - Hauler / Trade Route Runner! + Click Here to see the contents of the TinyMiner Classic Package. TinyTrader EVE Online Market Trading Bot, Items Seller and Assets Hauler - Greatest AFK Profits! + Click Here to see the contents of the TinyTrader Standalone Add-on. - The Market Trading module for updating your buy and sell orders so that they are always on top (this works simultaneously for as many Eve Online clients as you want if you have a character ready to trade in every major trading hub like Jita, Amarr, Dodixie, Rens, etc). - The Items Seller module will automatically set up sell orders for the specified items in your hangar. - The Assets Hauler module will take care of picking up your items from as many waypoints as you specify and bring them all in one central hub (Jita for example). No bookmarks are required! Help to keep it rolling! If you really like our work with all the frequent releases and constant improvements, please help us keep it coming by contributing even a little bit to keep going the great features and reliability you've come to expect from TinyMiner. All contributions are appreciated. We accept all major credit cards through PayPal - the faster, safer way to make online payments. However, if you cannot use PayPal for any reason then please Contact us and we'll be able to make arrangements for you to send the payment through alternative methods such as PaySafeCard or Skrill. 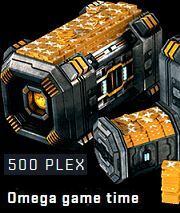 If you're looking for a quick infusion of ISK, a new set of implants, some blueprints, a faction battleship, any other items or even top up your account with some PLEX then buy our Eve Online Bots with confidence, we've been successfully selling products on eBay for more than a decade. If there's one thing we've learned during all these years is that customer satisfaction always comes first! Please check our impeccable 100% positive eBay Feedback (vital testimony of our relentless dedication to our customers)!